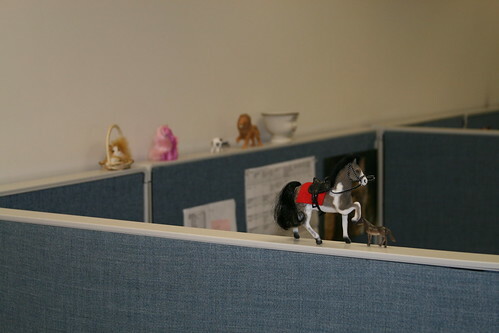 Decorating cubicle (and office) walls are a great way to show others who you are and what interests you. For example, to the right you can see a picture of my computer monitor. 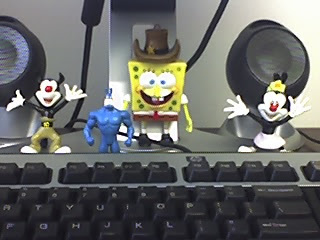 Based on this, you would gather that I like cartoons. 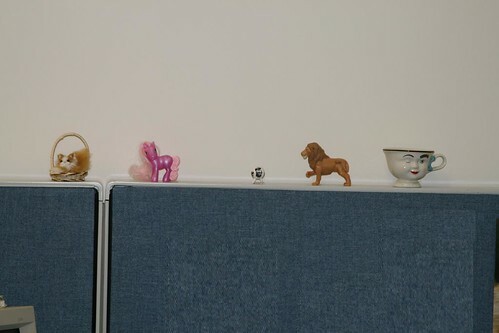 "QC Ted's" neighbor, has decorations on her cubicle wall and I can not for the life of me figure out what they mean. I've been here just over four months now and I don't have an answer. That's why I'm writing to you today. What do you think this person is trying to us? This picture shows a gigantic horse trying to crush another horse with its giant horse shoe. This next picture I have no clue. I don't see how any of these things tie together. What's up with the My Little Pony? dude - how can you possibly have no comnments on this one? THIS is classic!!! !